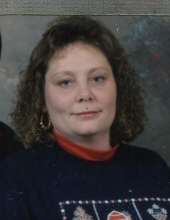 Vicky Lynn Childers Singleton, age 55, of Carrie, KY, passed away Friday, April 5, 2019, at UK Good Samaritan Hospital in Lexington, KY.
She was born in Ary, KY on February 24, 1964 to Jesse Childers and Della Mae Cornett Childers. Funeral services for Vicky Lynn Childers Singleton will be held at the Hindman Funeral Services Chapel, Thursday, April 11, 2019, at 1:00PM with Bill Kirby and Ricky Smith officiating. Burial will follow at the Singleton Cemetery at Carrie, KY. Visitation will be held at the Chapel Wednesday evening from 6PM to 9PM. with Bill Kirby and Ricky Smith officiating. "Email Address" would like to share the life celebration of Vicky Lynn Childers Singleton. Click on the "link" to go to share a favorite memory or leave a condolence message for the family.